A REALLY GREAT PLACE TO STAY, STAFF SO VERY HELPFUL WITH DIRECTIONS ETC NOTHING TOO MUCH TROUBLE. FACILITIES IN THE ROOMS EXCELLENT. THE NEWLY INSTALLED FOX A GREAT HIT WITH THE FAMILY. Very pleasant and efficient staff, always willing to assist in anyway they could. The breakfast was an absolute standout - fantastic varied menu, beautifully prepared and always served with a smile. Thank you for allowing us to watch the Bledisloe Cup in the lounge area, this was greatly appreciated by Rugby lovers. We thoroughly enjoyed our stay. Warm, professional staff went out of their way to ensure our stay was enjoyable. Our room had great amenities, and housekeeping excellent. We will definitely stay at the Alto when we next travel to Melbourne. hotel was excellent. A lot of thought had gone into the room and service provided. I had everything I needed but nothing I did not need. Everything worked and was easy to use. the staff were helpful. I was sorry that I did not have time for breakfast. Very nice stay in a very handy location. Lots of great finishing touches and good thought hasbeen put into the details which make the stay so memorable. We would definitely consider staying again. Thank you. Consistently good. I come down monthly for business and never disappointed. The rooms nearer Bourke Street can be noisy even with the double glazing, but the rooms at the rear are lovely. Your staff were the most efficient, polite and helpful of any staff that we have encountered in decades of travel, at home and abroad. They are to be congratulated. Thank you for the free upgrade. Although our stay was very short we were all very happy with the services and staff we met were most accomodating. We had another enjoyable stay. The location of the hotel is ideal for what we were wanting to see and do. The dining room staff were most helpful especially in regards to my wife's gluten free diet. We will be back to stay again. Overall the stay was good. The staff were very helpful and the room was exactly what we needed. Stayed on friend's recommendation; met expectations, proximity to railway station major factor in our choice. Compromise between view and noise. Opening windows with additional sliding windows to regulate air flow were most welcome. Agree with '...green star program...' as seen in action with no disadvantage to guests. Complimentary coffee and fruit in lobby appreciated. Comfortable, clean and centrally located. Staff have a strong customer service ethic. Staff were very welcoming and accommodating. Loved the breakfast / dinng room. The food was well prepared n tasty. The room did not have a view which was ok for a short stay. Good access from Spencer St Station. Our booking was slightly messed up n instead of staying 6 nights we only stayed 3 which actually turned out ok as now we are in the suburbs n closer to our friends. Also this place is more spacious and meets our needs better. However the location of Alto was great for accessing ACMI and Southbank. All in all it was a good place to stay - thanks! great experience and was fortunate to be upgraded which made it even better! Excellent service from staff. 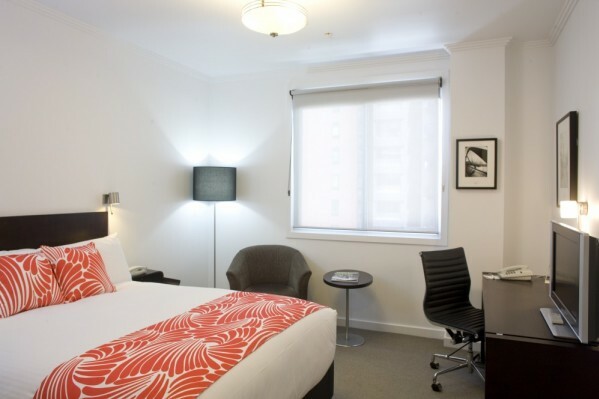 Clean, well maintained hotel in a great location to CBD. Very pleasant, no complaints. Great staff. As always your service is excellant and greatly appreciated. Great stay thank you. We enjoyed everything and found staff very helpful. Only a few minor things like light bulb not working, over zealous wait person who cleared away dishes before we finished etc...but these were just small things.Really appreciated the wifi included in the cost. Our third visit to this hotel and it never disappoints. The staff are the biggest asset, the food is great the extras (free wifi, free tea and coffee, free baggage and resting services after checkout) and its commitment to caring for the environment make it memorable. Only downside is that sometimes the noise from outside air conditioners can be annoying. Excellent. hotel very quiet at night. Staff extremely helpful. Breakfast excellent, dinner at night very good. Restaurant staff excellent. Good selection of food and wine. Fantastic hotel and staff are always helpful. Love the philosophy. My only complaint is I can't get a room as easily as I used to! Too many people have found out about you. We particularly liked the 'green' philosophy and practices throughout the hotel and the warm approach with guests. Thank you for a most enjoyable stay at the Alto Hotel. I was on a business trip and arrived somewhat late to the hotel. The hospitality of the staff was very welcome, and I was very pleasantly surprised by the lovely gift of chocolates in my room. It may seem like a small thing but I really appreciated the biscuits and having green tea with jasmine as an option in my room - not many hotels supply green tea (let alone all the other teas there), it's usually boring plain black tea. This is the 2nd time we have stayed and it was just as good as last time. The rooms are basic but very clean, the staff are friendly and the breakfasts are very good. The location is great for Spencer Street station, but not so good for some of the other attractions of Melbourne. Having said that, the rates are excellent for what you get and the walking did us the world of good!